Description A carefully edited hotel and gathering place that inspires guests to author their own experience. 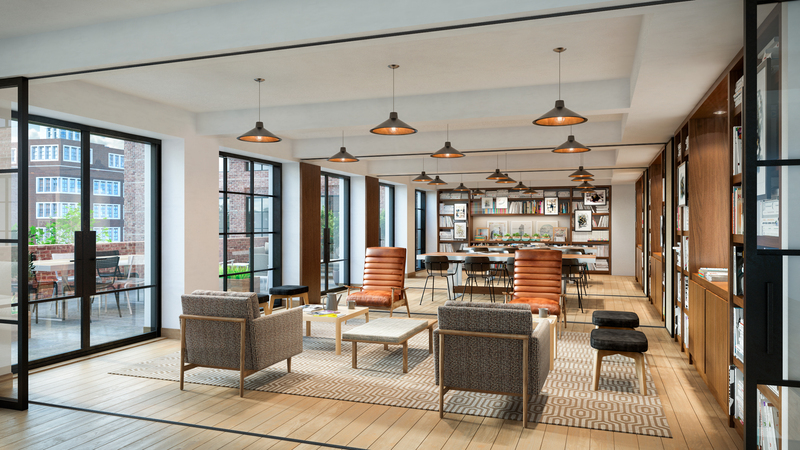 Situated in Manhattan’s Hudson Square, our flagship location neighbors Soho, Tribeca & the West Village with 325 modern micro guest rooms. Across our 6,000 square feet of flexible event space, groups and companies are invited to host meetings from traditional 10-person boardroom style to 200-person receptions. Space Notes Our largest meeting room, Studio, is 650 square feet with a private terrace and can be divided into three smaller boardrooms. Our indoor/outdoor rooftop is 3,000 square feet and can be privatized for events, and accommodate up to 275 reception.